We have more good news to share with you guys. The installation process of Scheduler .NET has been considerably simplified. The web control is now available as a NuGet package. That allows you to automate the setup of our calendar control. No need to download and unzip Scheduler .NET packages anymore. Besides, all initialization steps can be skipped now. All you need is to have NuGet for Visual Studio installed. Select the required DHTMLX Scheduler .NET package from the NuGet official package source (or search online) and accept license terms. That’s it! 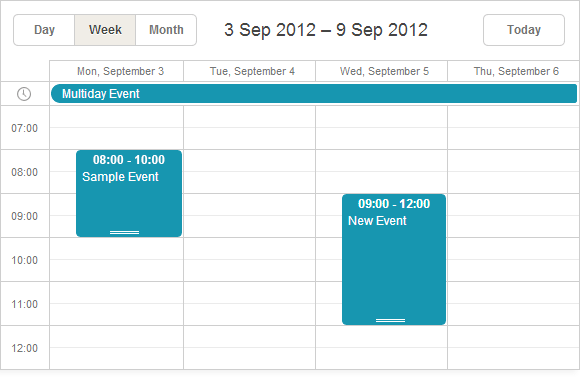 Choose Calendar.aspx in the Solution Explorer and run the application to see the scheduler sample in action. Scheduler .NET can be customized to meet your application needs and you can easily add more features, when required. Note: all these packages are trials that you can test free for 30 days. To continue using Scheduler .NET you'll have to get a license. You are welcome to leave your opinion below and share the news with your friends.